Warlords of Draenor has all the usual gold making methods, such as gathering and crafting and playing the auction house. The only things new regarding those methods is the actual items found/made. Oh yes, and that crafting is much simpler than before. The new idea, as you know, is the Garrisons. Among other things, they’re a source of pretty easy gold. If you have several garrisons, all level 3, you could easily be making thousands per week. I don’t know whether Bliz will run with the garrison idea in the next expansion. Yeah, I know they say they won’t, but they said that about Flying pretty recently and then they said there will be flying. They’ve also changed their minds about a variety of things in the past, where they’ve said “definitely not” and later said, “Yeah, let’s do it.” Both factions on one server comes to mind. Anyway, the Garrisons are a neat idea and I’m pretty sure that they’re something that Bliz will change someday. Why? You can pull 100-2k gold a day from your garrison and you don’t have to buy or sell anything. No gathering or skinning, no haunting the auction house, no endless crafting. Just check your mission table and hit the treasure missions. Gathering some ores and/or herbs and sell them off. Open up all your salvage and vendor or auction it. Obviously for optimal results you will want to be level 100 and have a level 3 Garrison. 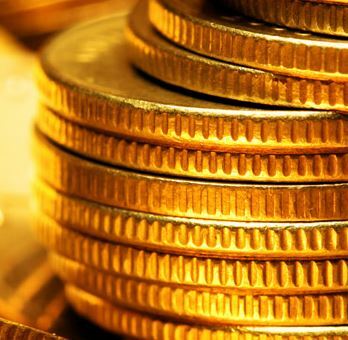 Gold Tips: What’s in Demand? Obviously there are about a bazillion things to sell on the Auction House, but how do you tell what people actually want to buy? Certain things are easy. For example, there’s always a demand for cloth due to First Aid and Tailoring and a few other uses. Most all of the ores and herbs and skins you gather will have a pretty fair demand. Basically, anything that another player can use will have someone willing to buy it, but it may be hard to find that someone. We want items that have a lot of someones wanting to buy them, preferably across several classes. An Int gem, for example, is usable by any caster. A Glyph of Renewing Mists is only of interest to Mistweaver Monks. How is it that a level 85 character has all of 43 gold to his name??? Someone is seriously lagging in the acquisitions dept, or they’re spending everything they make on mounts, pets, toys, and so on. Now, high levels aren’t necessary to do this. Obviously, if you’re going to be doing dailies, crafting, etc., you’ll want to be high level. Just be aware that even if you’re under level 10 you can still do well. Very very well. See this post on how I was able to accumulate over 6k gold after starting from absolute zero, in 30 days. No farming, a little gathering, no 85s, no guild handouts, no buying gold, new server. etc. Also see our gold guide, which covers many of these points in greater detail. So in the interest of giving people a way to increase their stash, here are ten things you can do to increase yours. 10 – Understand Who’s Buying What? 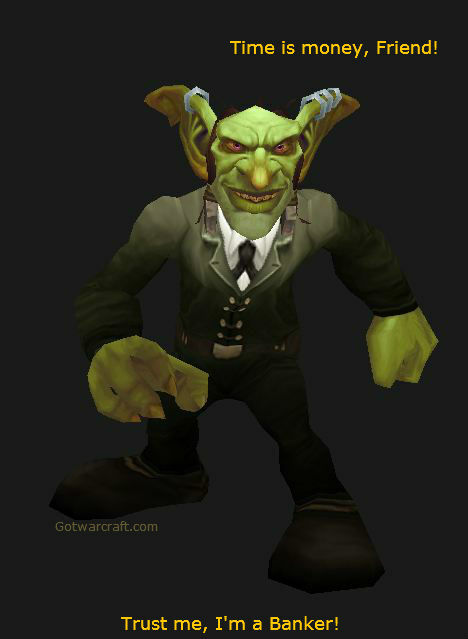 Keep in mind that there are really only three ways to make decent money in WoW. Sell stuff that you find to vendors, which can go hand in hand with #1. Sell stuff that you find or make to players. The last one is where people make the real money. Your job is to acquire mass quantities of stuff that people want to buy and then sell it to them. At a profit. Really, this is an important move. It allows you to separate your gold making from your leveling, PvPing, raiding, RPing, etc. Log into youi main and do your thing, or even gather some loot (to be mailed to your banker,) then log into your banker and your concentration can be all on gold making. In a nutshell, your banker is a low level (level 1 is fine) character that you park at your favorite Auction House. Your mains mail all their loot to this alt and then go back to their business. You’ll find that this saves a lot of time and just makes things more efficient. 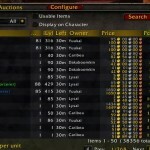 While you’re at it, get the Auctionator addon. It’ll make life much easier. There’s a “how to” video, below. Practiced by zillions of players, in all MMOs, worldwide, Gathering is the “tried and true” way to amass a pretty fair cash stash. What could be easier than zipping from place to place, gathering up everything you can find? Spend an hour, or a few, fill up your bags, and mail the stuff off to your banker. Rinse and repeat, easy as can be. Once you have your skill leveled check the Auction House (using Auctionator) to see what herbs, ores, and/or skins are going for the best prices and then go find those. Fill up your bags, send them off to the banker, then go pack to your regular game. Make sure your banker sells them in stacks of 20, if you can. Some of the rare gatherables are slow sellers. Frost Lotus, Hides, a few ores, for example. Also, keep an eye on deposit costs. Youi might be better off vendoring that Frost Lotus, rather than Auction Housing it. Note that stacks of one are just … annoying. As a buyer I’ll just skip over them to buy stacks, even if they’re a bit more expensive. Herbalism – Herbs are heavily used by Alchemists and in Inscription. Many, many stacks of herbs gave their all to make those potions and glyphs on the AH and you might as well take advantage of that fact and sell all you have. The Tauren have a bonus to Herbalism. By the way, Herbalism has a perk, Lifeblood, which both heals and Hastes you for 20 seconds. Skinning – Much used in Leatherworking, obviously, and used here and there in some other professions. With a bazillion skinnable mobs in WoW you should be able to quickly level this skill and grab piles of skins quickly. In addition to being a nice cash skill, Skinning adds to your Crit rating. Worgen are very good at skinning. Mining – Used in Blacksmithing, Engineering, and Jewelcrafting (and Mining builds Stamina through constant swinging of a pick and carrying heavy ores. ) Just as with the others, check the AH to get an idea of what’s selling for a good price then go and get it. By the way, Tycoon will tell you what’s selling well and about how much per hour you can make by gathering the stuff. It’ll even mark up your map for you, which just makes things faster. Check it out, here. One of the tried and true methods of making gold is farming. You go out, slaughter a few dozen (or more) mobs of some type, and gather what they’re dropping. The down side is that it can be a bit dull. The upside is that these materials are in constant demand and people usually by the stuff in stacks at a time, rather that one piece at a time. Cloth is an example. It will always be in demand by Tailors, for First Aid, and a few other uses. If you’re leveling your First Aid skill are you going to buy one piece of cloth or several stacks of 20? Most crafting recipes require many skins, bars, cloth pieces, herbs, or whatever. People are always leveling their skills and other people are constantly making certain sets of items (glyphs, for example) and so are constantly demanding more supplies. Also, the basic materials will be needed for many different recipes, whereas more exotic materials, such as Globe of Water, will only be used in a few items. Some of these items will actually sell. The question is this, “Is it worth your time to farm globes (or some other uncommon item,) to either sell directly or to use to make other items that will sell?” As compared to just farming a common item (Cloth, Volatiles, etc,) which sell for less, but in larger quantities and faster? Check Prices and Deposit costs before you go off on your farming run. Some items, EG: Wool Cloth, have very low deposit costs. Others, such as weapons are armor might have much higher deposit costs. Ideally what you want are items that will sell and that have very low deposits, just in case you have to repost them a time or two. Glyphs and Enchanting materials are two things that have deposit costs that are nearly zero. In the event that they don’t sell you can easily repost them over and over again. This also means that for certain items, such as those Enchanting materials, you don’t need to have the lowest price. For crafted items that are bought one at a time, such as glyphs, armor, weapons, etc., having the lowest price is often a good thing. Dungeon farming is an interesting way to go. Take your high leveling into a low level dungeon and keep everything that you find. These are items that are sold in very limited quantities by a few vendors and/or are only sold by one vendor. (See the image for an example.) Once the item is sold it will not show in the Vendor’s inventory until he restocks the item, so if you don’t see something he might just be out of stock. Some vendors have unlimited items, just like any other vendor, but they’re the only ones who sell the items. An example is the Master of Recipes on the 2nd floor of the inn on the east side of Stormwind. He sells cooking recipes that you won’t find elsewhere. Some of them will sell for several gold on the AH. Often you can buy these for a few silver and then sell them for a few gold on the Auction House. Keep notes on which sell well and then restock whenever you can. Here’s more on limited items. This is just the way the real world works. You buy wholesale and sell retail. You look at the Auction House and see that JasieBank has posted something up there for far less than you know it’ll sell for. Buy it out and repost it and a more “reasonable” price. Maybe you’re a Blacksmith and you’re buying mats and then selling finished items at a nice profit. Then Jasie posts the same thing for much less than your cost to make. If Jasie is just leveling their profession, and not trying to ram down prices for some reason, then you’re in luck. Buy the items out and repost now or later. Or buy up any materials that are too cheap and repost. Knowing the market and your own server’s AH is a big help here. and there are various addons that will help with your research and the buying and selling of AH stuff. Tycoon is one of them. Maybe you can make an arrangement with a farmer gatherer to buy all their stuff at one price, then you resell it or craft with it. Sometimes it seems like there is just no gold in crafting and, in addition, they’re pretty expensive to level up. Well, have faith, there is money to be made there but you’ll have to do some research and keep an eye on what’s happening on your server. Inscription is a good example, as is Blacksmithing. Everyone one all servers, of all classes, needs glyphs. Some (eg: Druids) need a lot of them to cover their multiple specs. All glyphs are cheap enough to make, though some require buying or finding a book in order to learn how to make them. That can be pricey. If you farm the herbs yourself then they can be dirt cheap to make. Then look at the prices that some of them sell for on your server. An example in the opposite direction is Blacksmithing, which has some very expensive (to create) recipes. The iLevel 397 recipes, for example, will cost you several thousand gold to make if you buy the materials. Certain earlier items, such as Dark Iron gear, had materials that were Ok to obtain, but required a special forge to create. Fortunately, Blacksmithing does have a few items which you can use to make some cash. PvP gear, for example, sells decently well. Any crafting profession which can make good low to high level leveling or dungeon gear will have items that will sell at a profit, given a reasonable availability of inexpensive materials. Also consider making cool looking stuff that people can use for transmogrification and selling it at a high price. You can also offer your services in Trade Chat. The buyer provides all the materials and you craft the item. Hopefully he gives you a nice tip. You can only raid with one character at a time (most of us, anyway.) Why not just park all the others in a place where they can pick up stuff for you, especially if they are otherwise collecting dust. Have a character in each of the big cities. Log into each one in turn and collect any limited items that the locals vendors have to offer. A mage with the appropriate teleports can do much the same. Once upon a time you could not have Alliance and Horde on the same server. This has changed. 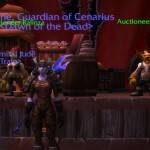 You can now log into your Alliance character and check Auction House prices, then do the same on the Horde side. (Obviously this is a bit easier if you have two accounts.) Item A is selling for a lot less on one side than the other. So you buy it from the one side and ship to the other. How? Through the Neutral Auction House, fouind at Booty Bay, Gadgetzan, and Everlook. Unfortunately, you will need those two accounts for this, or a friend. Park one of your characters at the Neutral AH. This one will receive the stuff that you’re buying cheapy. You then post it on the AH. Now your other account character (or your friend) buys the items and mails them to the appropriate place. As you can see, four characters are needed. Banker 1 buys stuff and sends it to Neutral Alt 1, who then posts it. Neutral alt 2 buys it and sends it to Banker 2. There is a hazard here. If you don’t spend the time you won’t make much. Put aside an hour a day, just doing basic stuff, and after a month you’ll be doing quite well. Some people spend more time complaining that actually doing anything. Once you’ve put in some time it will become a routine and will be easy. Challenge yourself. Do your own speed run and see how much you can accumulate in a week or a month. Set aside a certain amount of time each day. Especially if you’re a Role-player you can dance on table or entertain people for tips. Some mages do well teleporting people from here to there, for tips. Pretty crazy, expect that the last time the Gold Speed Run was held someone actually did it. Three broke 200k. Eleven broke 100k. The one thing to keep in mind is that is starting from zero, on a new server, no guild, no transfers, no heirlooms, no friends, no buying gold, no nothing.